Time for the Tartan Book? Labour’s defeat in the Westminster election last year has given rise to a veritable cottage industry of different strands of thought within the party publishing sets of essays laying out their own diagnoses of what went wrong for us and how we can win power again. Maurice Glasman and friends hosted a series of seminars at the LSE earlier this year, culminating in their The Labour Tradition and the Politics of Paradox; last week Blairites called for Labour to rediscover its ‘non statist tradition’ in The Purple Book and in Liverpool this Sunday, the Labour Left think tank will launch The Red Book, a set of arguments for ‘ethical socialism’. Whilst these rival camps have been involved in some rather petty little exchanges, it is nevertheless an exciting period in which to be a Labour member: we have the time to go right back to thinking again about first principles – what we see as our core mission as a movement – and then build back up to a intellectually and philosophically coherent set of proposals. All of the different approaches now being touted as Labour’s route back to power are not just tinkering with individual policies, but thinking long and hard about how our society, economy and indeed the world are changing and how we as a party should respond. In the past months, Scottish Labour has demonstrated the same capacity for sober, meaningful reflection on our past mistakes, the Review and the many well-argued posts here on LabourHame being prime examples of that. We are not yet, however, at the same stage as the UK party: we’ve discussed and then made various structural changes to the way we operate and debated the merits of individual policies, but I’m not yet aware of anyone or any group of people that are sitting down to do this type of deep thinking about the nature of Scotland and its society, people and economy in the second decade of the 21st century and how we would seek to govern them. This is, of course, natural at this stage: we are still a full year behind the UK party in terms of responding to our defeat and we have yet to conclude our Review process. But soon – once we have voted whether to adopt the Review’s recommendations at our special conference at the end of October and once the contest for the new leadership position is underway – we need to move to this next stage. We have a full five years before the next Holyrood election – ample time to engage in debate up and down the party about the kind of Scotland we want to see and how we will deliver it – and we must use them well. The Review thus far and the positive response to its first set of proposals announced last week show clearly that wide consultation across our movement and thorough debate between its members held in an open, earnest atmosphere produces good policy. As such, this should be our model for policymaking throughout the five years in opposition and not just a good habit engendered by the shock our defeat that wanes over time. There is much that the Review – yet to reveal its proposed changes to the way we make policy – can do to encourage this spirit of debate within our party. Firstly, members should be able to participate in meaningful policy debates in the same way they did during the Review process. We all enjoy the policy discussions we have in our CLP and branch meetings, but there needs to be a way of making them feed into the pool of evidence we use when deciding on our policy positions. They cannot simply be a hobby we indulge in of an evening, with minutes being made but never considered thereafter. Shadow Cabinet and Holyrood Committee members should visit CLP meetings to get an understanding for how members feel about the key issues on which we need to develop stances. We also need to get much better at using the specialist knowledge that our membership has in abundance. Right across Scotland’s universities, hospitals, businesses, schools and elsewhere there are Labour members with many years of valuable experience and it is to the party’s detriment that we don’t have a formal way of drawing on that experience, making it a core part of our policymaking process. I know a whole number of people working in Scottish universities doing research into issues of interest to us as a party and who would be more than happy spend their spare time sharing their knowledge with our policymakers, but it is very rare they are asked. Like Glasman’s LSE meetings, I’d like to see Shadow Cabinet members chairing seminars on their areas of responsibility and inviting to them those with professional knowledge and experience. Some of the policies we ran on in May were not, as Aidan Skinner pointed out on LabourHame last month, rooted sufficiently in evidence and consequently were discredited by those in the know during the campaign. If we involve them in our policymaking next time around, we are much more likely to produce manifesto pledges which will stand up to scrutiny. None of this will be easy but we do nevertheless have some things going for us. Our radically changed group of MSPs means that while we have lost many experienced old hands we have gained an equal number of new people eager to bring fresh ideas to the table. We have the luxury of opposition – a full five years free from the day-to-day challenges of government which so often sap governing parties’ energy: five years in which to engage in the same productive deep thought and debate we are seeing within the UK party at the moment. If we go about policymaking in this way – if we listen to what different people across the party with different perspectives have to say, if we spend time examining what works rather than what will grab us some headlines, if we draw on the rich seams of experience that we have access to and if we create the space for different ideas and approaches to improving life for our people to compete – then we will go into the 2016 election with a manifesto that not only will be more likely to win us power but that will allow us to change Scotland radically for the better when it does so. 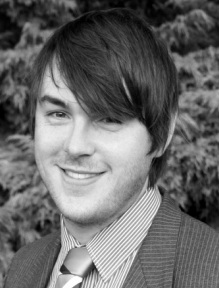 Dan Heap is a PhD student in Social Policy at Edinburgh University. He blogs at www.danheap.wordpress.com and tweets as @commentdan. If you keep all of your discussions within the party, Dan, are you sure the results will appeal to the broad majority of Scots who are NOT Labour members? Shouldn’t you be listening to them, too? Keeping all thinking and all self-examination within the party machine is surely the best way to close your eyes to the wider world – and at the worst possible time for Scottish Labour. Labour did so badly in the last Holyrood elections, IMO, because you were fighting the wrong war – yet none of you realised that at the time. I’d guess that the main reason for that lack of realisation was that you were only talking amongst yourselves so no-one realised just how badly you were doing with the ordinary Scot in the street. In my honest opinion you are doing better right now than the UK Labour Party at realising what went wrong and how to fix it. Scottish Labour has woken up where UK Labour is still lost in their own dreams. But if you don’t make an earnest attempt at reconnecting with the Scottish people, all that effort will be in vain. Which will be a darn shame. Yes, of course: that is very important. But why do you assume that the party and the people are different? We have within our membership a broad cross-section of people from all walks of Scottish life who, as well as being ‘normal’ members of the public just like anyone else, spend a lot of time on the doorstep talking to their fellow Scots. As such, they are the party leaders’ best way of understanding the public mood and so it make sense to involve them much more in the process of policymaking. Because the people who join political parties are those who are most dedicated to the party, Dan. As such, they tend to think tribally. If all your fellow members of the party are enthusiastic about an idea, the temptation is to try to sell that idea to those outside of it rather than listen to people who may think it’s a bad idea. But the party members are the people you can usually rely on, anyway. No party has ever won an election by only convincing their own members that they’re right. That’s why the Lib Dems never really get anywhere, and it’s how both Labour and the Conservatives have managed to lose several elections in a row before now. I suspect it’s also the main reason you lost Holyrood, as I’ve said. I think Tony Blair really understood this, perhaps better than anyone else in British politics today. Hence ‘New Labour’, which caused the electorate to look again at what Labour had to offer and also hence Blair’s determination to appeal to as many people as possible. I think Blair did make the mistake of taking Labour voters too much for granted, sometimes, but his decision to try to build as broad an appeal as possible was vindicated by three straight election victories. He managed to turn the tables so that the Conservatives were the group who only appealed to their own supporter base (Though granted they didn’t help themselves, there…). You cannot appeal to a broad support base by only looking inwards. It’s all very well to involve our official members in decision making but what about those members of the Labour Social Clubs? They are automatically part of our Party machine but are not treated as such. Are they only there to boost the membership numbers and contribute financially? I know of many who are disappointed that they have never been approached by the Party. Maybe the bingo sessions could be interrupted for half an hour by a sensible political discussion chaired by a prominent Labour figure. An admission that Scottish Labour have lost touch with Civic Scotland. That is a disasterous situation for any political party with a Scottish tag. Salmond has the high ground because he is offering people a say, all be it in 2 years, so everybody else is chasing the game. The Coalition are talking at Salmond having decided that provoking an early referendum and opening discussion on”Home Rule” will provoke him into going early — a vain hope. Meanwhile Labour is discussing it internally with inbuilt limits beyond which we shall not pass. Nobody is asking us, the voters in Scotland what we want, I know one thing, all my kids now vote SNP as do a lot of my friends’ kids. They want Scotland to collect all its own Revenues and control spending but I am not convinced they want Independence, but nobody is asking them. Never the less even I’d vote “Yes” if the alternative was Calman, at least the Tories won’t be setting the Economic policy. Its time for Labour to stop saying what it wants to do and just do it. Key words are in capitals to highlight the structure, not to shout. The options posed are the blindingly obvious; other alternatives are your opportunity/ challenge to devise. 1. Define the PHILOSOPHY of the, yet to be created, independent Scottish Labour Party. Cue: socialist, capitalist, social democrat, co-operative, or what? What sort of society/economy/politics/culture/etc etc does it AIM at creating? What are the set of AIMS that are the raison d’etre of the party to exist and to which it is dedicated? How about deciding is it to be “Greed is good”, etc. etc. careerist, crony ridden, corrupt, semi-corrupt, ethically dodgy,cynical, exploitative, centralist, self-serving, patronising, elitist and other current attributes perceived by outsiders. Is it to have honesty of purpose and behaviour, integrity of consistent thought, word and deed? What ORGANISATIONAL CULTURE is the party to operate? Autocratic, top-down,, centrally controlled, resourced and focused? Bottom up, member-driven, engaged, involved, committed and actively participatively democratic? What STYLE will the policies, campaigns, party voice and the party representatives display? Current patronage of others, elitist “we know best, don’t argue back”, arrogant deafness to other viewpoints and selective blindness and amnesia as to own behaviour, record and failings? Eg. Labour governments have been crap at managing money/budgets/the economy. Grasp the thorn – how are you going to convince the public a future Scottish Labour Party will be fit to govern an independent Scotland? Non-strident, rational, thinking, reasoning and brain-driven instead of prejudice and emotion-driven? Open, equal, participative and respectful of other realities – or still intent on driving ‘the one true truth’ down other people’s throats? POLICY AND DECISION-MAKING STRUCTURE London tells us what to think, the leader knows best, fall into line and don’t dare stand out as disagreeing if you value your career, etc etc. Grass roots driven and inspired creativity, energy and innovation, being synthesised and built up into internal consensus and democratically debated and decided policy, programmes and stances? SYSTEMS AND PROCEDURES Centrally, London controlled, or a cut-to-size Scottish parallel with all the same centralist and elitist mindset, attitudes and prejudices built in? A genuinely fresh start with greater bottom-up, openness to discussion and participation, engagement and active contribution, versus more of the same with a very small thinking/control centre and a lot of loyal plodders? OPERATIONS AND ACTIVITIES Still tied to Union interests/dominance/leverage or how does the party adapt to a post-industrial era, where unions have lost their mass sway. And union membership /workers/voters are much more diverse and different in political allegiances/attitudes/values/loyalties? A package of the above KEY WORD attributes that appeal to a broad spectrum of the Scottish electorate. That address Scottish needs, wants, wishes, desires, ambitions and hopes. That are functional, feasible, workable, pragmatic and practical. That are differentiated because of their unique voice, style, characteristics – not because they oppose for the sake of opposition or are hasty ‘good ideas at the time’ that turn into PFI style disasters. If the Party can generate the above kind of genuine independent thinking and resolve all the above issues – then it may just survive the next two scythings down to size (municipal elections, next GE/referendum whichever comes first) and emerge as a valuable contributor with potential within an independent Scotland. If Labour in Scotland cannot – then it is right royally stuffed. And deserves to be. The recommended procedure is to take the words in caps, put each at the head of a page. split the page down the middle. write “What we don’t want” as heading for one column. “What we DO want” as heading for the other – and fill them all in. I think its fair to say Labours problems are many, from a long term top down mentality to poor stuctural organization and its distancing itself from Scotlands problems. But its most immediate problem is surely its lack of inspiration at the “front” with the miss-firing Iain Gray to “poor me poor me” Jim Murphy. If Labour cant get a leader quickly with character and vision the rest is a waste of time.